Theodore W. Frank is an associate with Parker Mills LLP and has experience in the areas of maritime law, including vessel arrests, cargo damage, and oil spills; business litigation, including shareholder disputes, breach of contract and personal injury defense, and real property litigation. 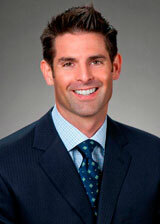 He previously was an associate with Cogswell Nakazawa & Chang, LLP from 1999 to 2007. University of San Francisco School of Law, San Francisco, California, 1999, J.D.